The Pebble is one of the nerdiest fashion accessories of the past year, following its massive Kiskstarter success, the device and fashion accessory is now launching its dedicated app store, something which many feel was the key block missing, from another wise perfect device. Until now, the ability to download an app has been heavily fragmented, with each developer allowing you to download their applications on their own sites and platforms. 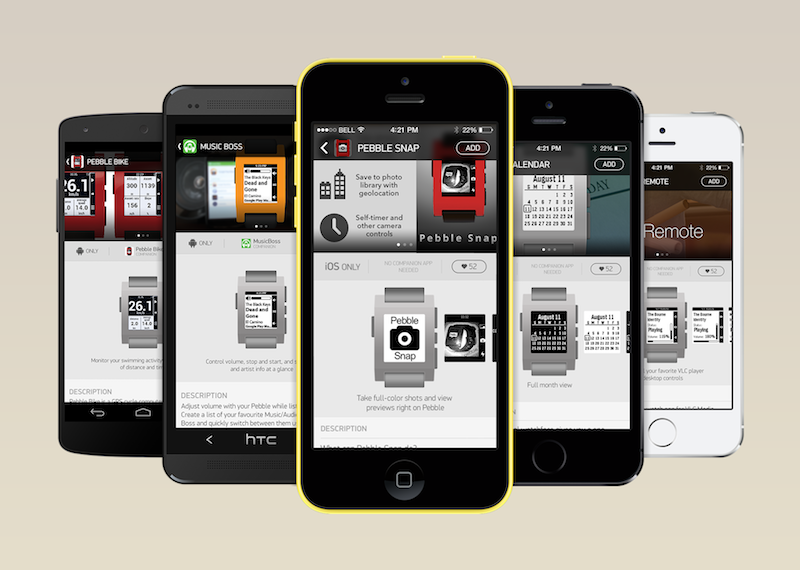 The only thing you’ve really been able to do is to add different watch faces from Pebble itself. The lack of a dedicated app store has not exactly hampered innovation from developers, but it has meant that the average user might never find you. Many people might wonder, what exactly can a watch do? The Pebble already notifies you of emails, phone calls, texts, etc. it even tells the time and there’s a certain beauty to that simplicity, it means you’re no longer hyper connected, constantly checking your phone and there’s a certain relief to this. Recently, however when questioned on my Pebble, I found people listed off things when wondering what exactly it could do. This left me with a certain wanting to play simple games, control my camera or even use GPS, things I can’t currently easily do. Luckily, I won’t have to look too much further in a few weeks. While Android users will have to wait “A very, very short time”, iOS users can download the new app store today. The Pebble store will be laid out almost the same as the Play or App stores, with dedicated categories and sections to help easily navigate the different apps. It’s not certain exactly how many apps the store will launch with, developers have had access to the SDK for quite some time now, and the more rudimentary interface allows for some truly retro (think Nokia 3210) style development, unlike the Galaxy Gear, there’s less need to be as flashy and feature full, which is a nice change – to a large degree, apps will have to be useful.